Environmental assessment is a means of counteracting, foreseeing and controlling interference in the environment. All new major developments in Europe and North America are now subjects of scrutiny to prevent them from causing significant harmful effects to the land, sea or air. 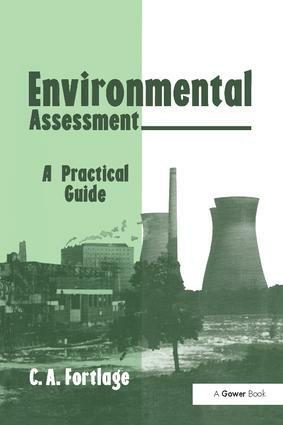 This book is an essential guide to the process, reviewing the history and background to assessment, summarizing the current legislation and providing useful advice on the skills and management techniques needed for a successful environmental assessment project. Environmental Assessment opens with a review of the US origins of the scheme, definitions and explanations of how the UK has implemented controls. This is followed by the law, rules, regulations and legislation applicable to the UK and the EC directives for the European Community. The author examines management and monitoring, setting up project teams, researching and presenting effective information, as well as calculating and analysing the potential effects of the project. Mitigating measures and alternatives are discussed, as are qualitative assessment techniques. The book has been written for architects, planners and landscape designers, who may be unfamiliar with the techniques, but who are directly involved in shaping the landscape. It would also be a valuable handbook for local planning authority councillors, environmental groups and anyone involved in sensitive development proposals. Although not written as a textbook, environmental students will discover clear jargon-free explanations of and insights into the practice of environmental assessment.